and i love your creativity! thanks so much for sharing!!! Another darling creation! Going in search of glass vessels today. I saw your Link on Tidy Mom and came over to check out your great ideas. 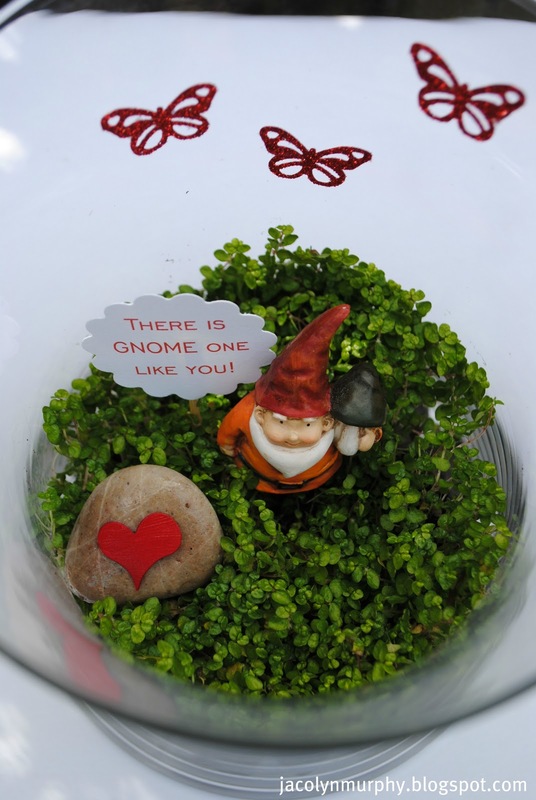 I love Gnomes and this terrarium idea is fantastic. I'm going to Pin it for sure. One question - where did you get the little gnome. I have a hard time finding little ones. Thanks! 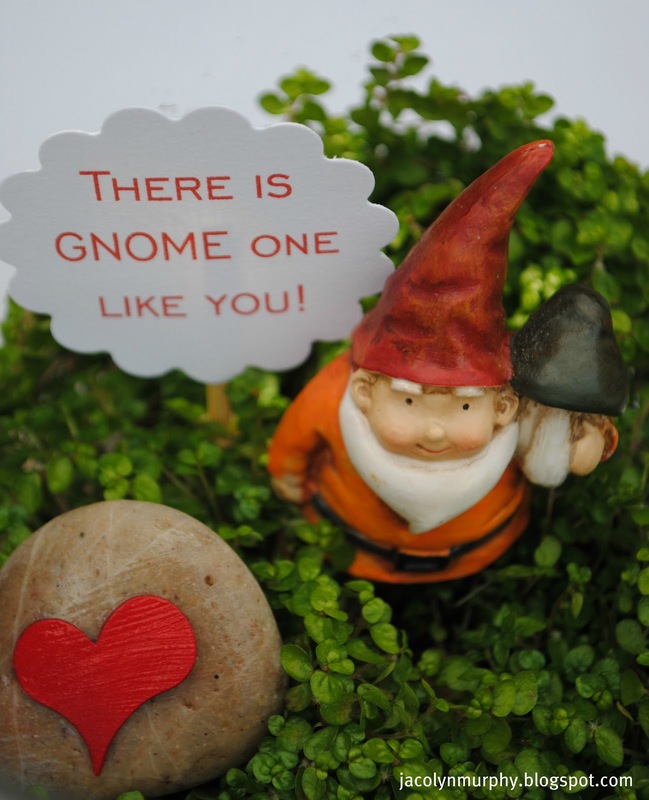 Yes, I'd like to know where you find your gnomes, too! 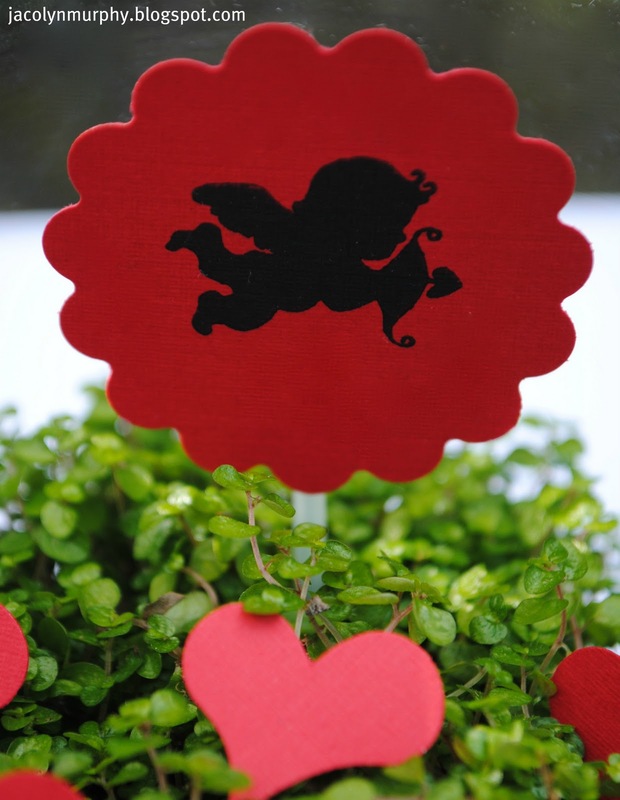 May I add this post of yours to my Gardening Valentine post I did a few weeks ago? So adorable! These are fantastic! That gnome one is the BEST! So adorable. Love these Valentine's. Ahhhh! I love the gnome one!!!! I love this! 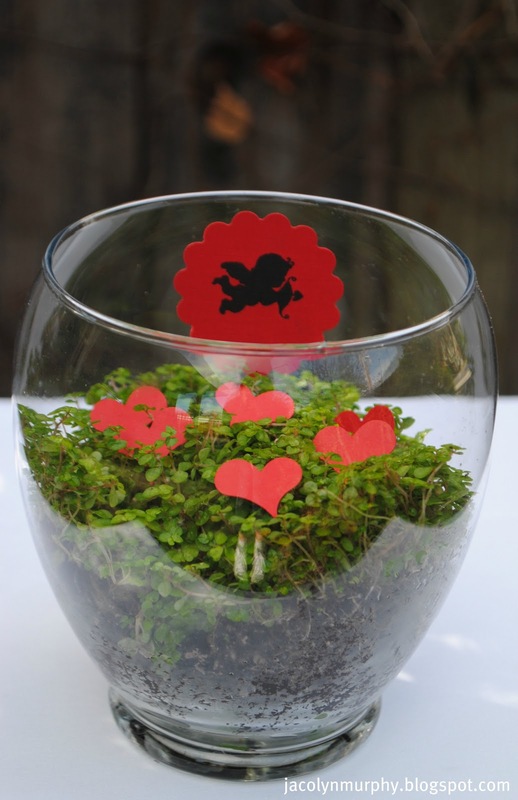 What kind is the name of the plant you have in your terrarium? I just love the little leaves. I love this! the gnome is too funny! Thanks so much for sharing! I visited your blog today - I saw you on 'Wash, Fold, Put Away.' 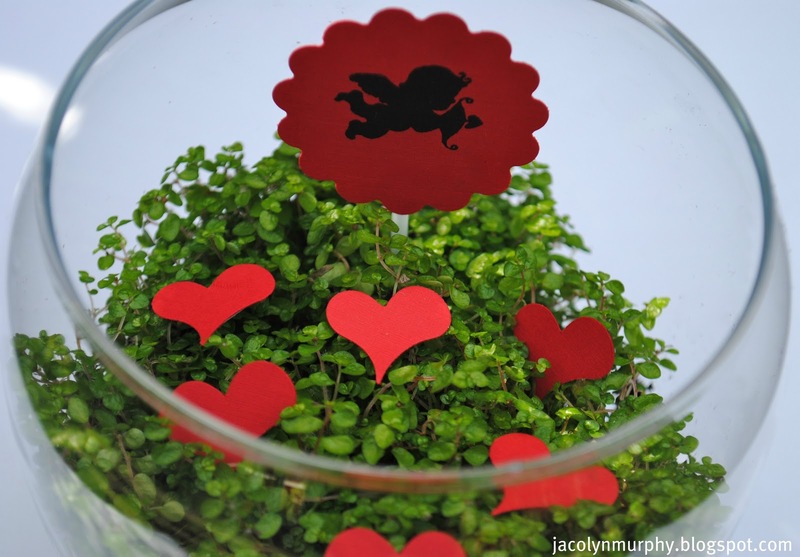 Your blog is so pretty and your posts are simple - two things I like. I love the little heart rock and all the Valentine lovelies. Me and my daughters started a blog, and we would love it if you could visit us and follow. I would enjoy coming back to visit with you. I think your blog is filled with beauty, and it is very cheerful to me. I hope to hear from you, and have a lovely evening. Love this. 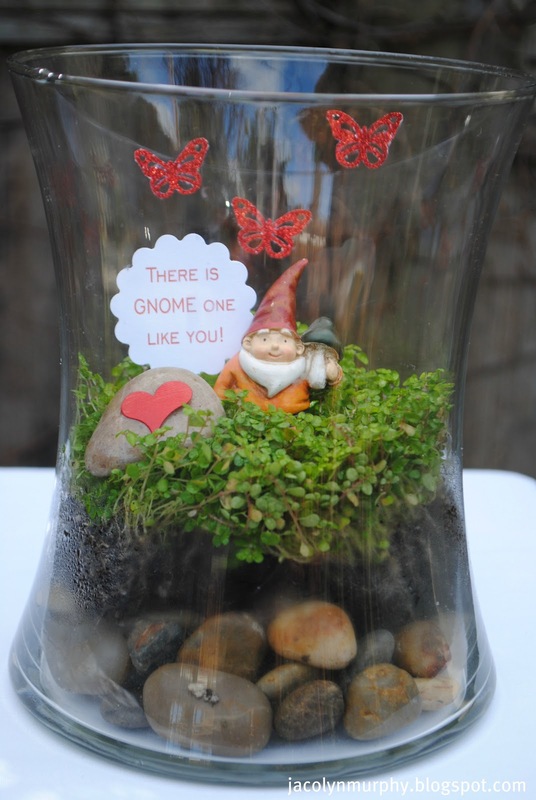 What a clever idea, and that gnome is making me melt. I adore new and different ideas, this one truly fits the bill!